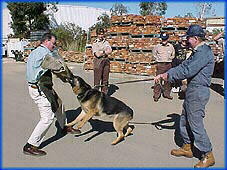 Whilst Rangers spend much of their time conducting public education and promotional programs, they themselves must undergo extensive training on a regular basis. 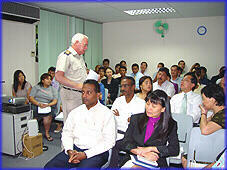 Their skills and knowledge must continually be at a high level so as to remain totally competent and professional at all times. 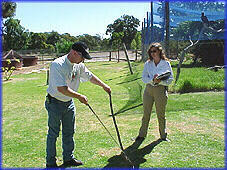 Training courses include general law enforcement, prosecutions, conflict management, fire fighting, animal capture & handling, reptile handling, firearms, customer service, first aid, to name a few. 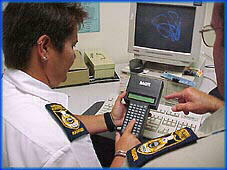 in technology. 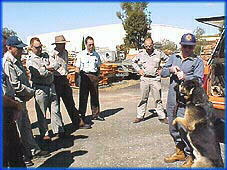 Dealing with dangerous dogs. 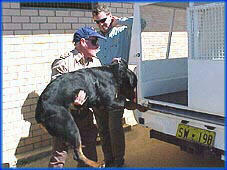 How to approach, capture and lift dogs safely with minimum risk of being bitten or back injury when handling an animal. 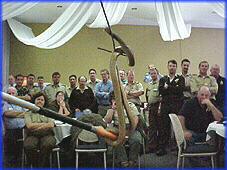 Handling dangerous reptiles demonstrated at a WARA conference and below Sharleen Jordan grades a student on his ability to capture and bag a venomous snake. 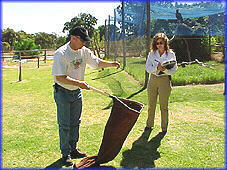 Over Sharleen’s left shoulder, you can see Onslow the wedge tail eagle watching a prospective lunch disappear. 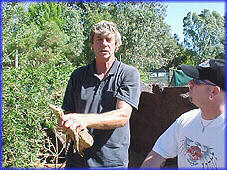 Klaus from the Armadale Reptile Park, demonstrates to a trainee ranger the correct way to handle a monitor lizard. 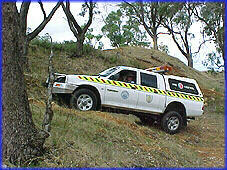 4WD driver training is essential for many areas of ranger work especial in fire & off road vehicle control. 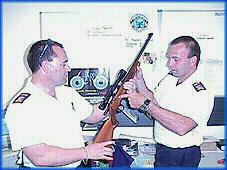 Municipal Law Enforcement A & B. 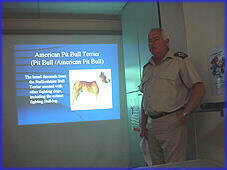 Apart from the many short training courses available, WARA hold their annual training conference where many informative subjects are covered to keep Rangers informed of the latest trends, equipment available and legislation changes. 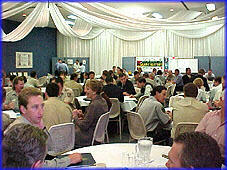 The WARA 25th Anniversary 2003 International Conference, is now regarded as being the best conferences held by WARA and one of the best and most interesting conferences for local government rangers held in Australia over recent years. 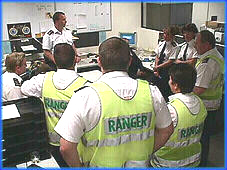 WA Rangers Association and associated training providers are also in a position to provide training and presentations at an international level. 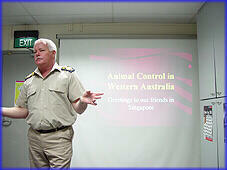 A WARA representative is seen below addressing animal control officers and officials in Singapore. 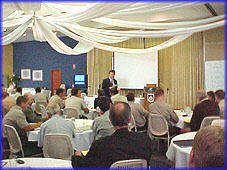 WARA have provided speakers at international conferences in the UK & USA, also national conferences in Australia. 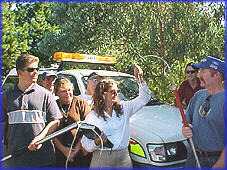 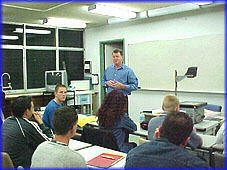 Professionally developed training programs make West Australian Rangers elite in their field. 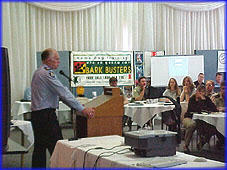 WA Rangers Association supports and recommends professional training and wishes you all the very best for the future.